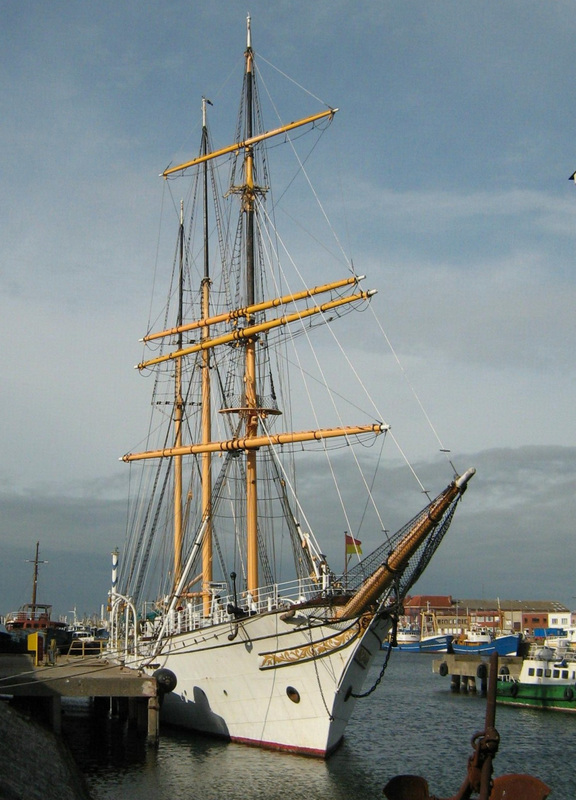 Sailmaster B.V. has worked with the museum ship Mercator since 2008, when our first down-rig occured. 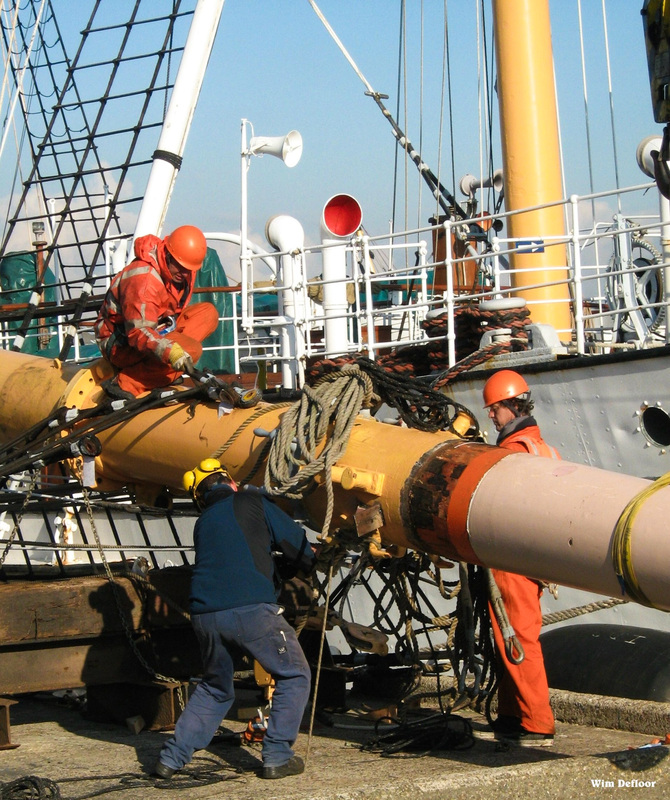 For this job we hauled all the masts, as well as bowsprit. 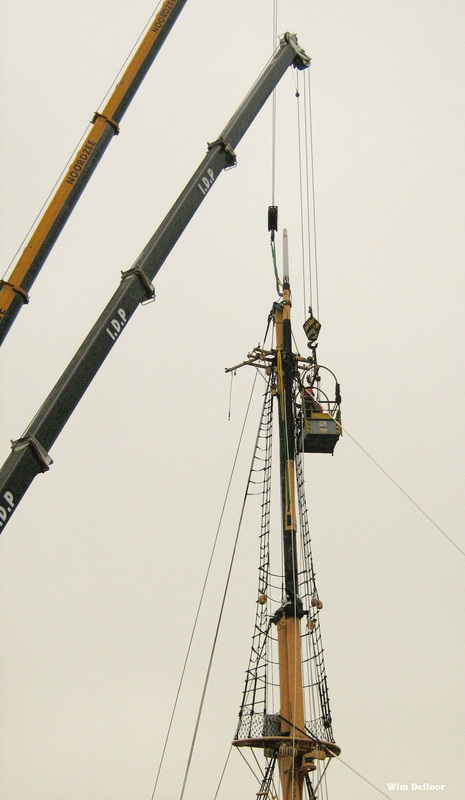 The entire rig was brought to a nearby workshop in Belgium, where we completed a comprehensive inspection of all spars and rigging. 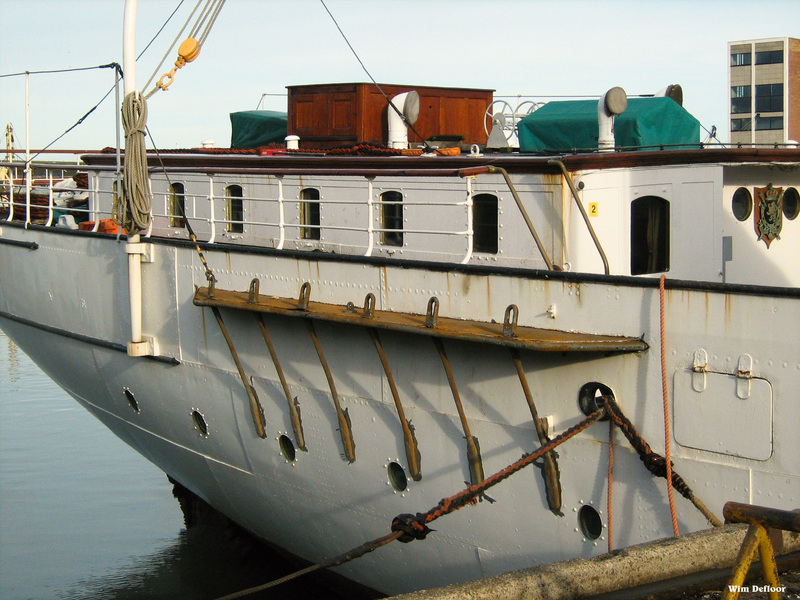 From this detailed inspection we provided a reccommended repair list for all of the yards, spars and steelwork – such as spreaders. 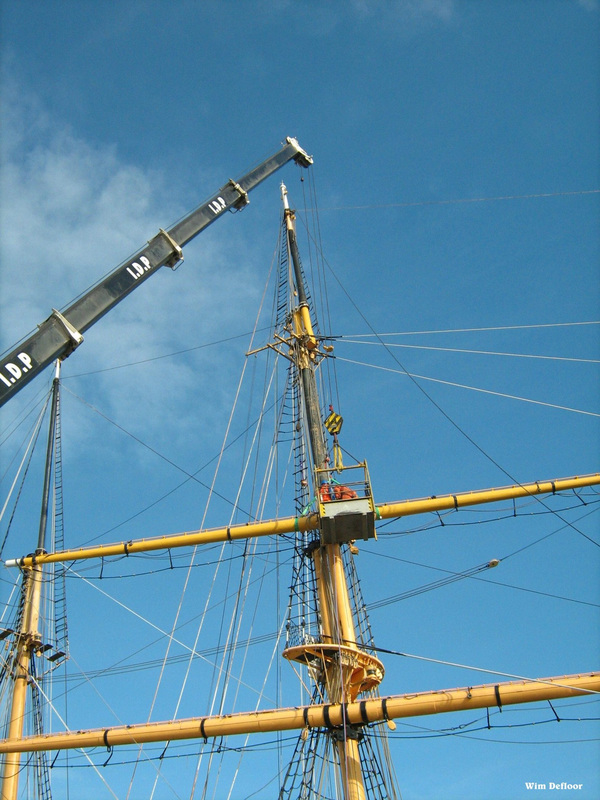 The standing was subsequently renewed, and the running rigging was overhauled. Come spring 2009, we rigged Mercator back up again. 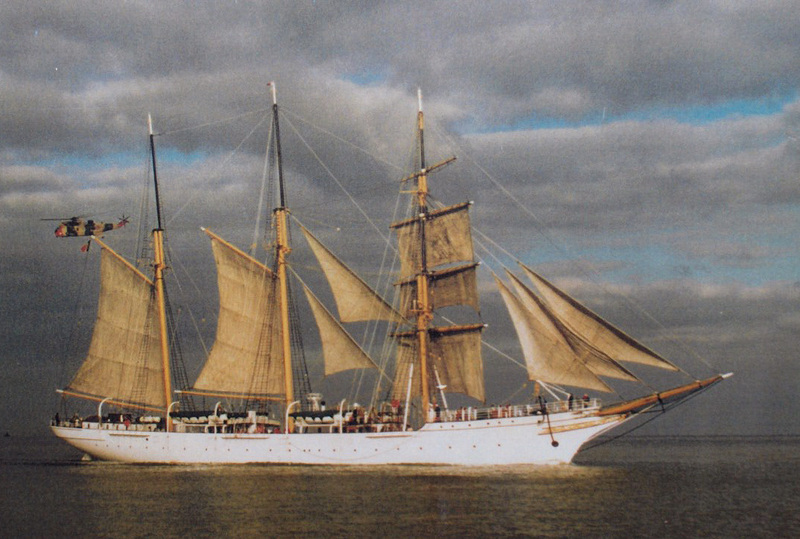 More recently, in October 2015 we returned to Belgium and down-rigged the entire barquentine, save for her headrig. 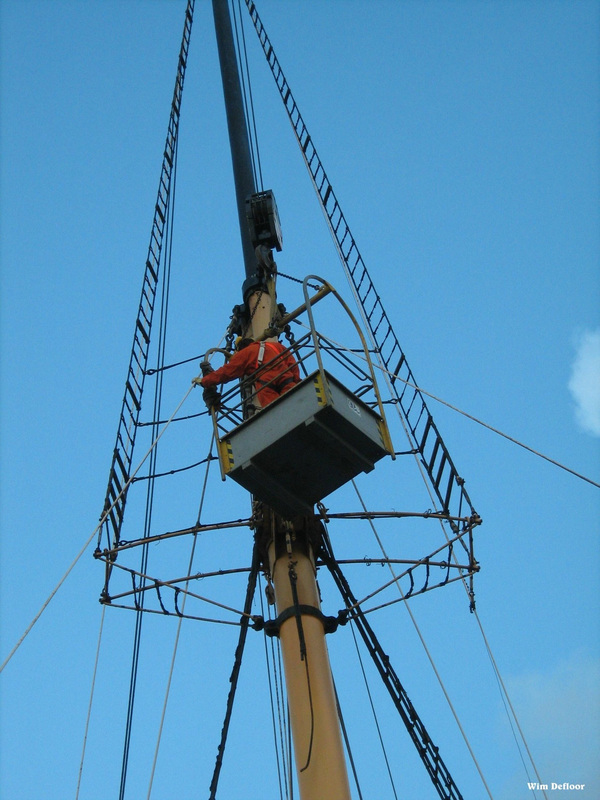 As this job was primarily to allow the ship to fit into a hall for hull repairs, the bowsprit was not a height issue. Built : 1932 by Ramage & Ferguson Ltd.